In 2011, Dean O'Malley walked away from a high-paying job with no plans for the future, other than to escape the world of finance. His IT job at JPMorgan Chase (JPM) had survived the financial crisis, but he had no desire to stick around for the next one. O'Malley had grown tired of the crazy hours, increasing regulation and negative stigma. "Banking was one of those industries where we were seen as the root of all evil. I felt like I wasn't really doing any positive work," the Southern California native told CNNMoney. Just two weeks after leaving his Vice President of Technology post, O'Malley ran into a friend who opened up a very different career path. 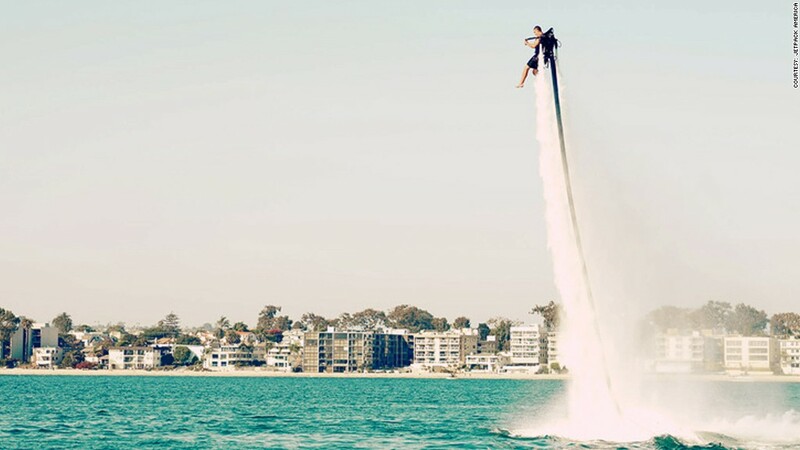 Her family was launching a business based on jetpacking, an emerging extreme water sport that lets riders fly above the water James Bond-style. 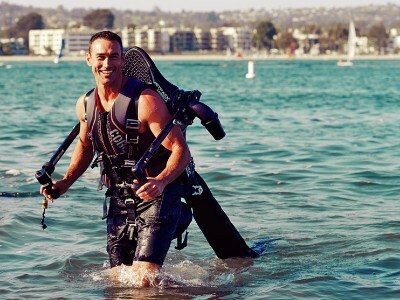 Even though he thought jetpacks looked crazy at first, O'Malley eventually agreed to run day-to-day operations and invest in the new business, which launched in Newport Beach, California. Three years later, O'Malley is loving life as president of Jetpack America, a business he's led to $1 million in annual gross revenue. He's making just a fraction of what he took home at JPMorgan, but O'Malley said he's in it for the long haul. "Not a day goes by that I don't thank myself for walking away from the old job," said O'Malley, who is 38 years old. "My satisfaction is infinitely higher and I have a passion for what I do." Jetpack America eventually expanded to San Diego and more recently Las Vegas. Now it's looking to open seasonal spots in San Francisco, Seattle and Vancouver. 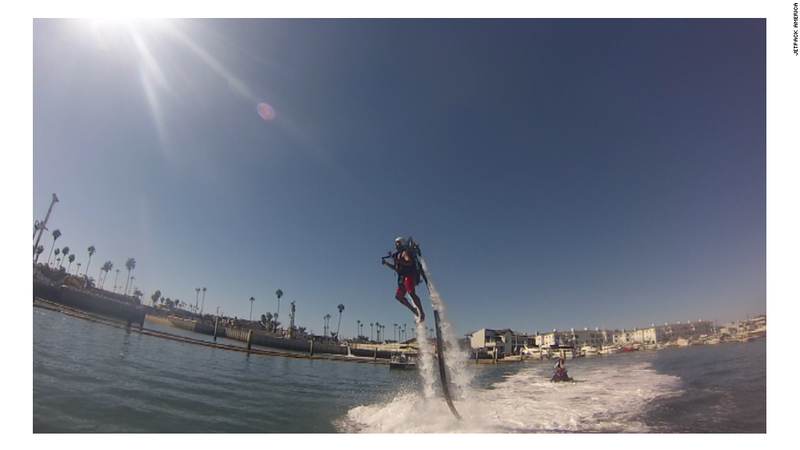 Up-and-coming water sport: O'Malley describes jetpacks as the "perfect mix between jet skiing, parasailing and even scuba diving." Riders are propelled by water that is sucked up by a jet ski or a pod and then shot to the jetpack through a hose. 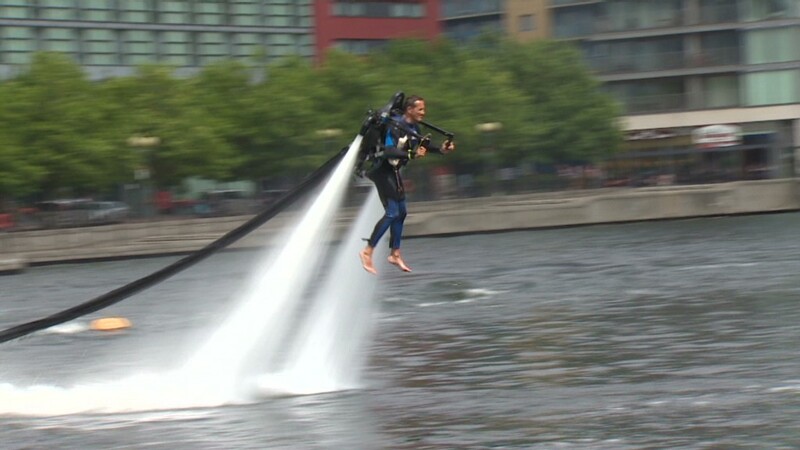 Not only can jetpack riders zoom 30 feet into the sky, but they can dive underwater and then shoot back to the surface. This extreme experience made the new job lots of fun for O'Malley. Still, he faced a number of obstacles in the beginning. After 14 years in the regulation-heavy banking industry, the jetpack business felt like the Wild West. He was in the unnatural position of having to invent many of the processes and structures. O'Malley and his staff also needed to figure out how to make riders feel comfortable doing something foreign and potentially dangerous. They created an extensive training video to show guests and opted to give riders helmets with earpieces that allow them to hear their instructors. Related: Jetpacks are real. And they're awesome. And then there's the sticker shock of trying to build a business around jetpacks that at one point cost $100,000 each. Recently prices have plunged, but O'Malley said the business is still "not killing it by any means." He was able to deal with all of these challenges in part due to the business skills he honed over a decade in finance. "I bring the banking world here," O'Malley said.